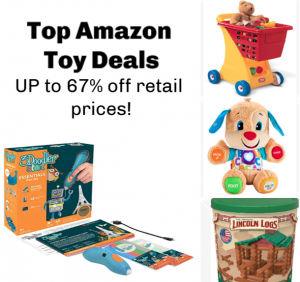 Amazon has some great deals on toys this morning! Remember that pricing can change at any time and prices frequently do change this time of year. Always verify final pricing before completing your purchase. 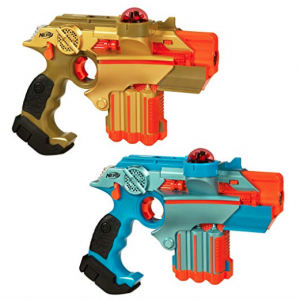 NERF lazer tag set 30% off! My son LOVES his Nerf guns! I got him this Nerf Lazer Tag set for his birthday and it was a hit. 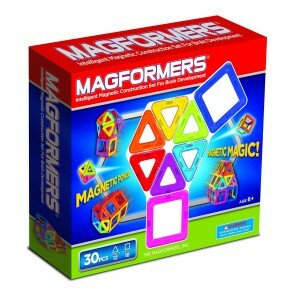 Today it’s on sale for $44.79, which is 30% off the regular retail price of $63.99. I grabbed an extra set so he can play with even more friends now! If you haven’t already, make sure you sign up for your FREE 30 day Amazon Prime trial! This will give you access to all the exclusive deals on Prime Day! If you’re a student, you’ll get a free six month Amazon Prime trial PLUS you’ll pay 50% for your Prime membership after that! Amazon Prime gives you benefits like free 2 day shipping, video and music streaming, photo storage, and more! 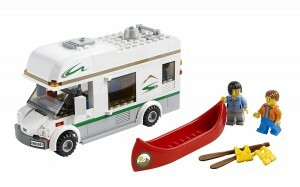 LEGO RV Camper Van only $13.99! My son got this LEGO RV Camper Van for his birthday and it was his favorite gift! Right now, it’s on sale for just $13.99, which is the lowest price it’s EVER been! It includes lots of great details! Find the perfect wilderness spot! Jump in the canoe and get ready for riverside adventures! 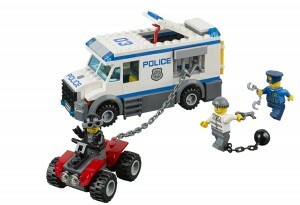 This LEGO Police Prisoner Transporter looks fun, too! We don’t own this one yet, but the price has also dropped to $15.99, so I’m trying to decide if I should get it for my son’s upcoming birthday!